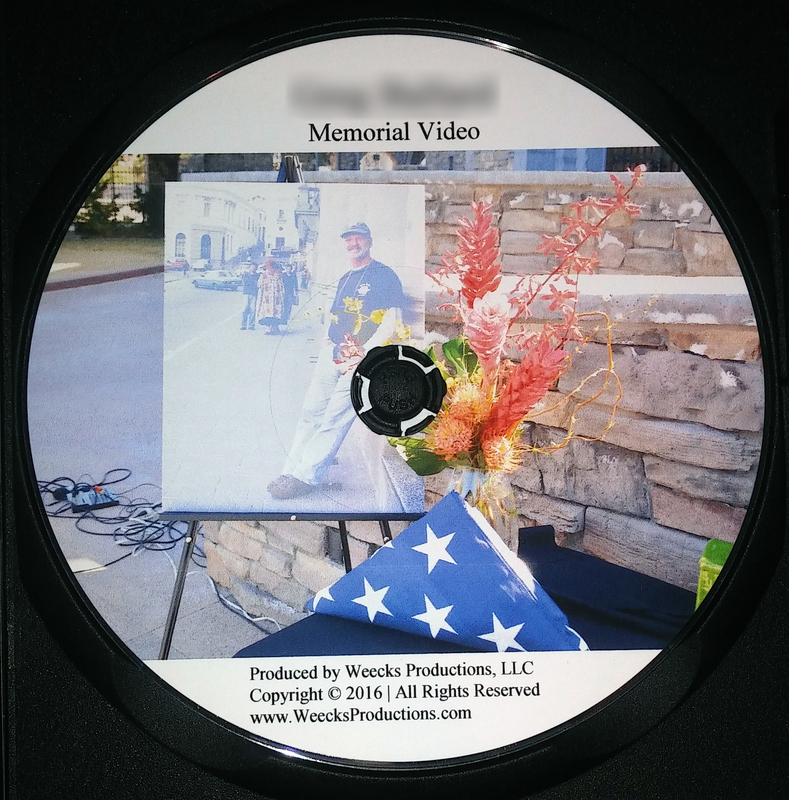 Weecks Productions, LLC provides the highest quality memorial production services available. We offer affordable, innovative, and moving video and photography memorial tributes, slideshow montages, funeral/memorial video & photography coverage in Arizona, and the creation of professional DVDs to send to loved ones not able to make the service. We offer quick turnaround times, and we can pick up images and assets from most cities in Arizona. Projection and audio services and equipment are also available upon request. 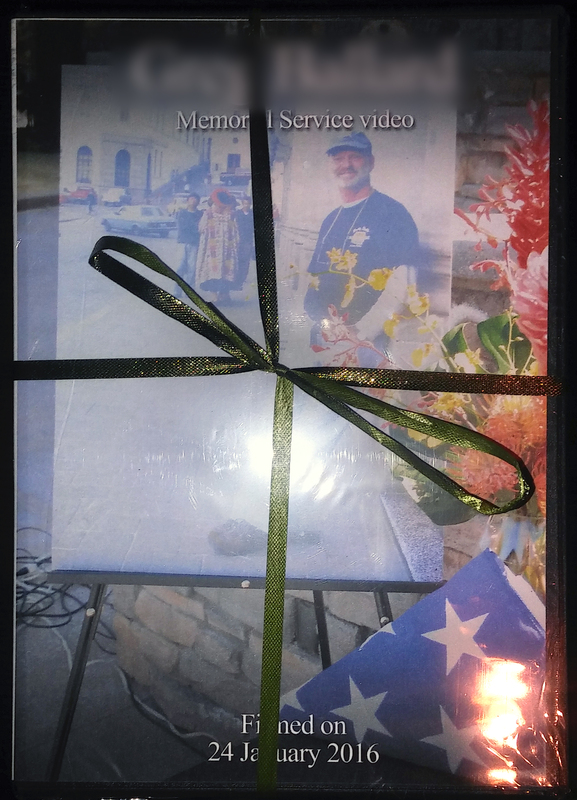 Not only do we film memorial services and eulogies, but we will then professionally edit the video and create custom DVD packaging. We ship DVDs worldwide. Weecks Productions, LLC specializes in creating lasting memorial slideshows and montages from photos, words and music. We can even add custom voice-over or narration by one of our professional voice artists. Our video production services are an addition to the funeral or memorial service which many have said provides a sense of “closure" and helps with the healing process, and is a great solution for friends, family, and loved ones who could not attend but wish to pay their respects and cherish the memory of final goodbyes. Included with all of our production packages is the option for us to host a secure copy of your video on our website for free, so you can share the link with loved ones and friends instead of having DVDs produced. What is a memory booth? How is the final product packaged? Please click through each tab to see answers for frequently asked questions. A memory booth is a unique idea created by Weecks Productions, LLC which can be set up anytime, and anywhere to capture memories of the deceased. 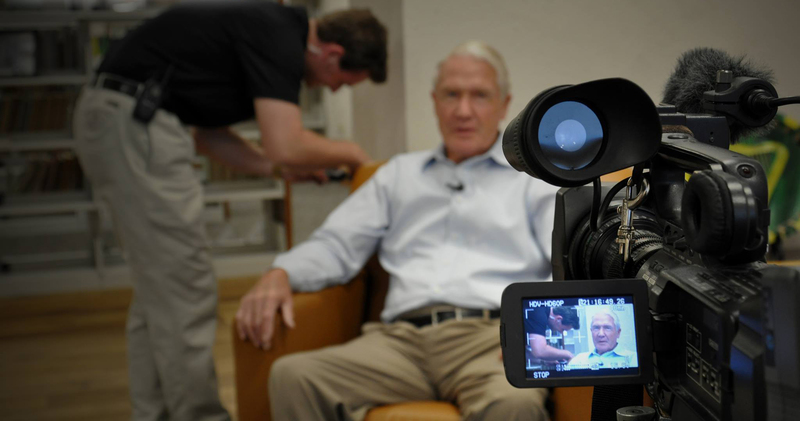 Our team of professional videographers can provide broadcast quality interviews of all guests in attendance for a packaged DVD to be sent out to family and friends. We have had many clients in the past who greatly appreciate the professional DVDs we’ve created for them. 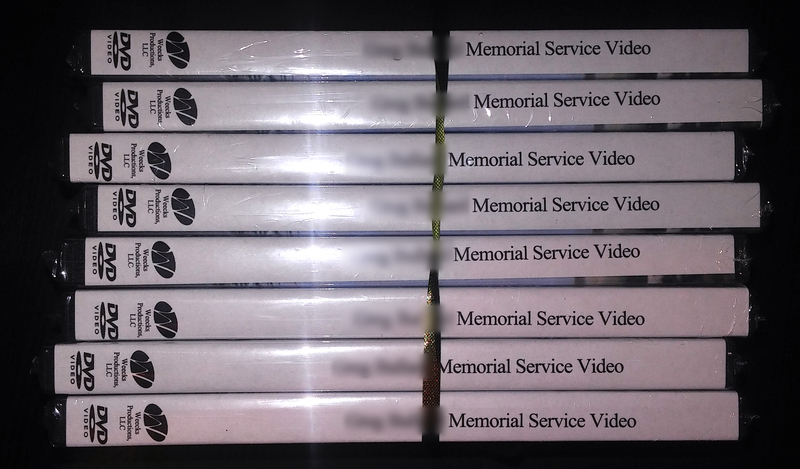 In fact, one client, Margaret Z. has watched our memorial DVD every day for the past few years since her husband’s memorial and said “this DVD is one of the greatest healing tools I ever could have imagined. Thank you so much." Whether you’ve ordered a video of the ceremony, memory booth recording, or photography the final product is edited and packaged just like a DVD you would find in a retail store. For memory booths or event video our editors create a professionally cut video containing all the interviews and highlights, which is then custom packaged for each client and finally plastic wrapped for individual distribution. For more information, please contact us by calling our office at (623) 850-3275. One of our representatives will be happy to further discuss our memorial production services.